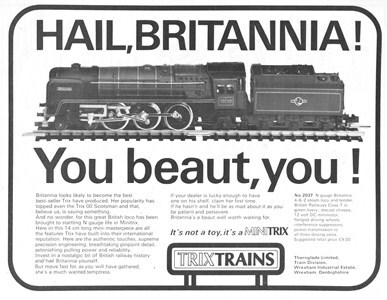 This page is an attempt to archive some of the history of British N Gauge, particularly manufacturers' catalogues - things that get easily thrown away as they get out of date, but become interesting again with the passage of time. Most documents on this page are the result of scanning the paper originals. I've had assistance from other members of the N gauge community in this task and thanks are gratefully given. This small project would also not be possible without the assistance of the manufacturers, who have kindly given permission for their material to be used. Do You Have Any Material To Add? This archive is by no means complete. 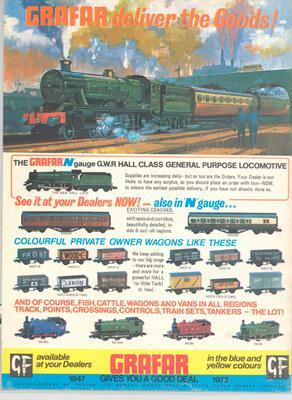 I'm particularly interested in a copy of the early Dapol flyers that advertised their early N gauge offerings. If you find any errors, or simply find the material interesting please drop me a line at the above email address. You may also find www.ngauge.org.uk of interest. As an experiment some files are now hosted via Dropbox. Please do not link to the catalogues directly - their locations are liable to change. 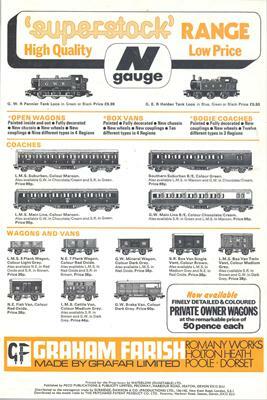 Scans all reproduced by the kind permission of Dapol Ltd. Copyright remains with existing rightsholders. Material from this site must not be used for commercial purposes without the written permission of the copyright holder.